A monument commemorates those from the district who died in service or were killed in World War One. It was unveiled in May 1920 by Brigadier General Cox. 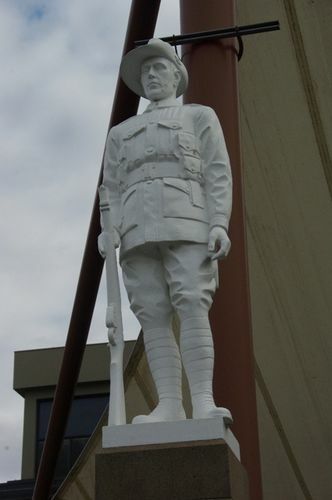 The ceremony of unveiling the Soldiers' Memorial, erected within the property of the Shire Council, in front of the Council Chambers, at Blacktown, was favored with lovely weather on the 1st instant. It was not surprising, therefore, that a large gathering was present from all parts of the shire. Of about 300 soldiers belonging to the shire, who took part in the great war, 53 were killed and their names, cut out in gold lettering, appear on the memorial. Windsor and Richmond Gazette , 14th May 1920.